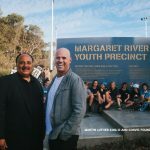 The Collie Skate Park opened on the 13th of April with a massive turnout from the local community to what was an exciting day of events, workshops and activation. 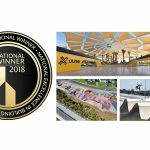 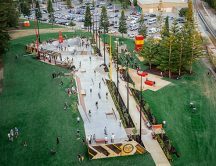 The Collie Skate Park creates a dynamic relationship of landscape and skate features with the integration of a dry creek bed that weaves throughout the space. The approximately 730m2 space caters for a range of abilities, allowing users to progress through the space, developing their skills from a beginner to an advanced level in a safe and creative environment. 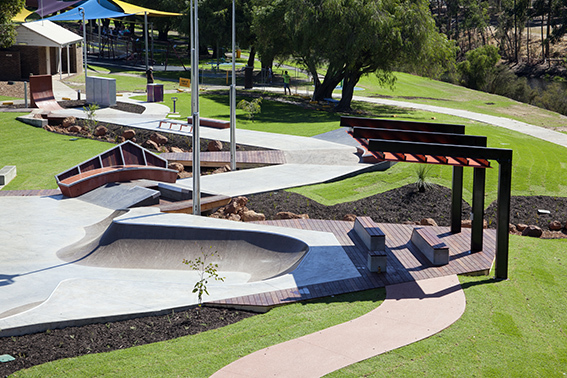 Collie was one of 3 skate parks designed and constructed by Convic to open on the 13th of April as part of National Youth Week. 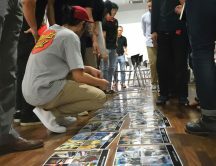 It is these events, and the general day-to-day usage that will ensure the development of a safe and well maintained space that will be embraced by the broader community whilst empowering and igniting the Collie Youth.